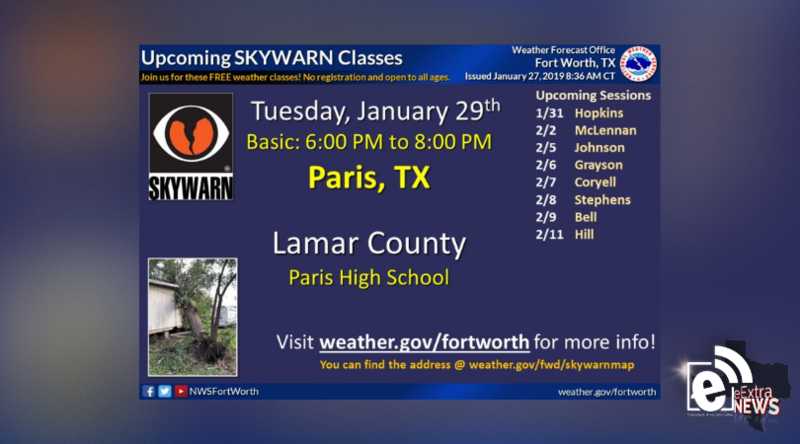 The government shut down is over just in time for the National Weather Service to present the Paris Police Department’s annual Skywarn Seminar. The seminar is free and open to the public and will be held at Paris High School, Tuesday, January 29, 2019, from 6 – 8 p.m.
“You will hear from National Weather Service training meteorologists on the mechanics of how severe weather forms, how to identify severe weather and what to do when severe weather is a threat,” officials said. The class is organized for everyone from storm spotters to anyone interested in severe weather. Asst. 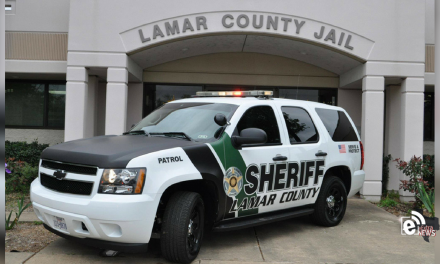 Chief Tuttle said he invites all volunteer firefighters, EMTs, law enforcement officers and Lamar County EMCs. 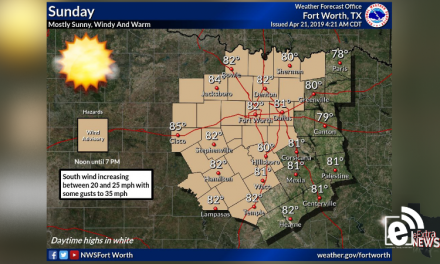 Visit weather.gov/fortworth for more information.